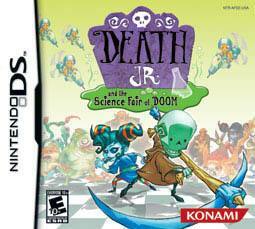 The DS has had its fair share of hit and miss games and fortunately Death Jr. and the Science Fair of Doom is not one of those games which is a combination of Adventure, Arcade and Action that is suited to gamers of all ages. Gamers are transformed into Death Jr. as he travels through a myriad of strange science experiments gone wrong but fortunately for Death, he has an ally in girlfriend Pandora. In its essence, this title is an arcade game that focuses on adventure and action as gamers must navigate through a highly detailed gaming environment as they slay their way through a wide myriad of opponents. Fortunately for you, Death has a scythe which basically allows you slice your way through the title. 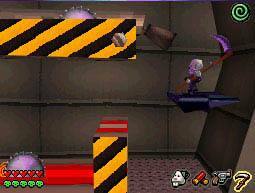 The game is also a platformer where you must use whatever skills you have to reach the required stages. The title also has an interesting story which sees Death trying to right his school gone wrong. The idea of this title is to investigate why your school has gone crazy with monsters and toxic waste as you battle to save your classmates and regain your father's scythe in order to makes thing right again in the world. The control system is rather apt on the DS with the touch screen used which does make the game more interactive. As Death, you can cut your way to victory, however you must also rely on your Goth girlfriend Pandora who has the ability to turn into spirit form and collect souls. 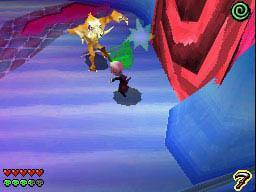 Graphically, the title is rather impressive on the DS with cartoon style graphics that really suits the genre. The textures are a little low resolution but the characters themselves really make the game entertaining and match that with some special effects and it's a very good looking game on the Nintendo DS. In conclusion Death Jr. and the Science Fair of Doom is a great title that although aimed at all ages is more probably more suited for the younger gamer but it's definitely one of the better games on the market at the moment.